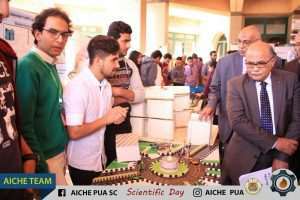 Aiming at promoting innovation and sense of competition among the students, the faculty of Engineering organized the Engineering Scientific Day on Tuesday 24/4/2018 with the participation of all departments. This was held in the presence of a multitude of community members, students as well as academic and administrative staff. At the outset of the day, seven seminars were held for each department where their achievements during the academic year 2017-2018 were displayed. Then, the students had an open discussion with some community members about the proposals they put forward about developing the educational process. Afterwards, an exhibition of the students’ engineering projects was opened. 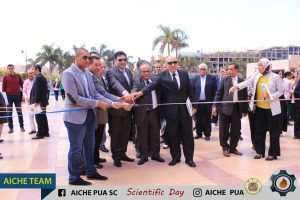 A discussion was held later about some engineering issues among Prof. Abdel Moneim, a consultant to the PUA Board of Trustees; Prof. Mohamed Gaber Abou Ali, the Dean of the faculty of Engineering; Prof. Hesham Soudi, the Head of the Engineers’ Syndicate; Prof. Hossam Moghazi, the Minister of Water Resources and Irrigation and Major General Eng. Ahmed Ali, the Director of the Urban Planning and State Properties Departments. 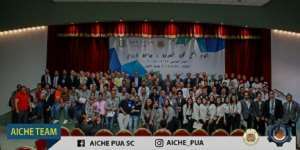 Certificates of appreciation were also distributed among faculty members and teaching assistants who have been recently promoted, the ideal employee, the top faculty students and the students who participated in the engineering projects exhibition of the Engineering Scientific Day. 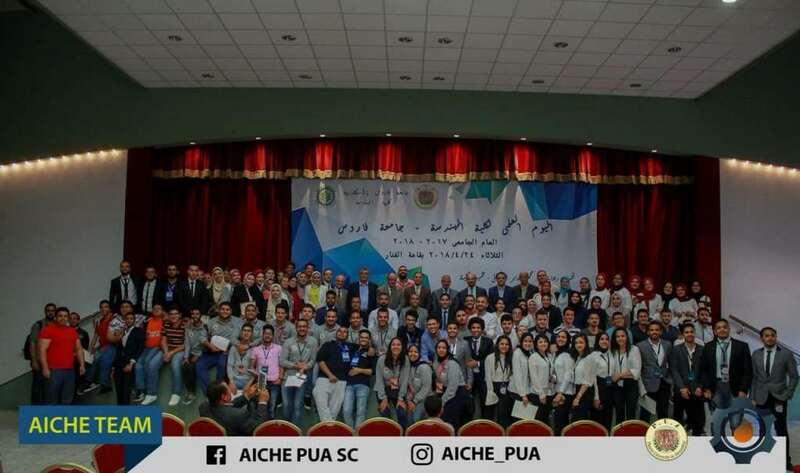 The whole attendees took photos for the memory’s sake at the end of the Engineering Scientific Day.